For more than a decade, The Bunker New York has been a nexus point for the transnational techno community. A chance meeting at The Bunker in 2011 brought together Gunnar Haslam and Johannes Auvinen (also known as Tin Man), who became fast friends and collaborators soon after, conceiving a joint project called Romans. 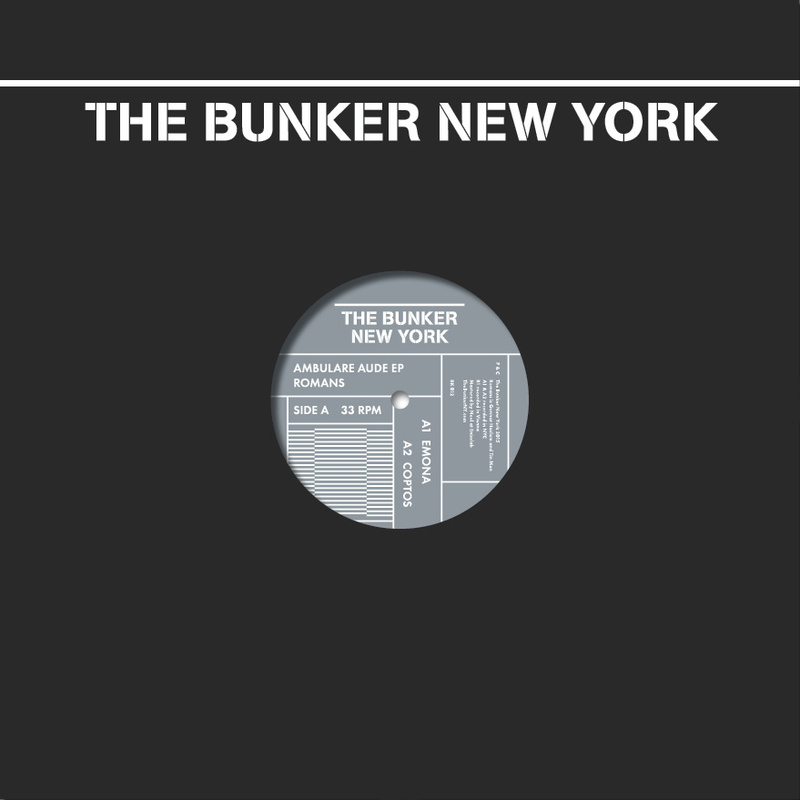 The Bunker New York is proud to present Romans’ Ambulare Aude, a collection of atmospheric acid techno tracks. The record is the result of several extended improvisational jam sessions in Vienna and Brooklyn in which both artists would play off of each other in the studio. Accordingly, each of the three tracks have a slight aleatory air about them, as though both artists are being led down an unforeseen musical path, not entirely certain of where it leads. This culminates in Delmenium, the record’s B-side, a true techno journey, featuring an emotional, metallic synthesizer coruscating against a melancholy background.